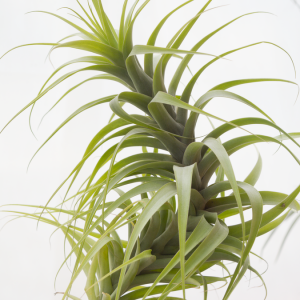 Tillandsia Ionantha Fat Boy is a new hybrid air plant that looks as tall as it is wide. 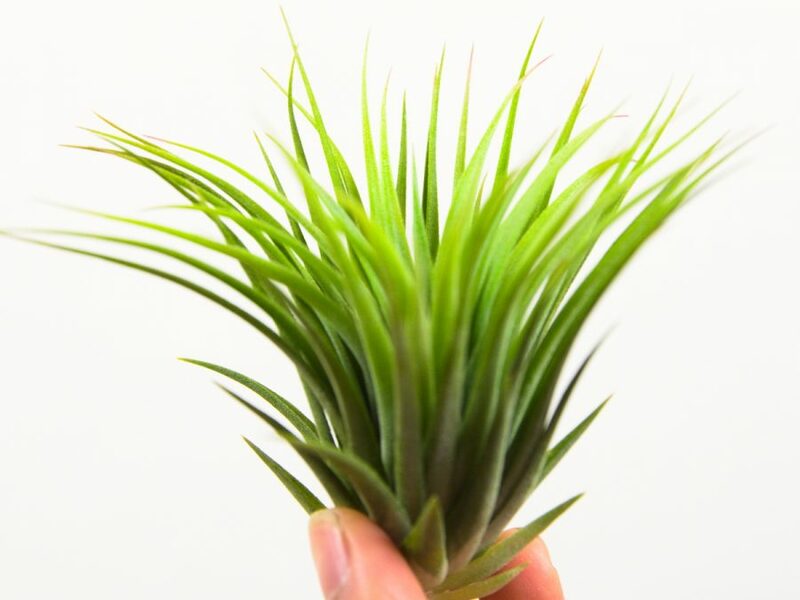 This Ionantha breed has longer and stiffer leaves than most other ionanthas and has a nice leaf pattern. Looks great in hanging air planters, driftwood, and terrariums. 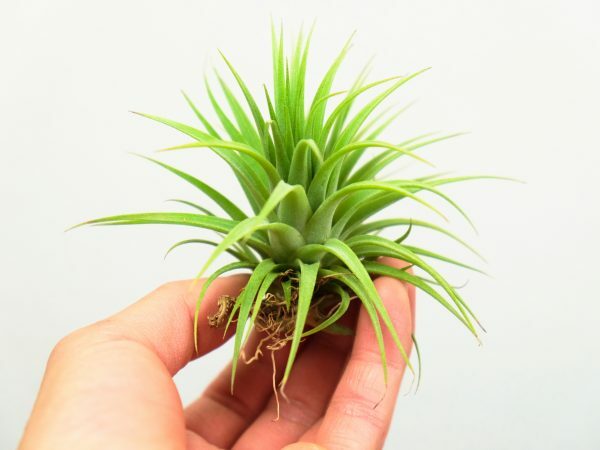 Categories: Air Plant, Hybrid Air Plants, Small Air Plants. Tags: Ionantha, Tillandsia Ionantha Fat Boy, Water-loving. Tillandsia Ionantha Fat Boy is very easy to grow. 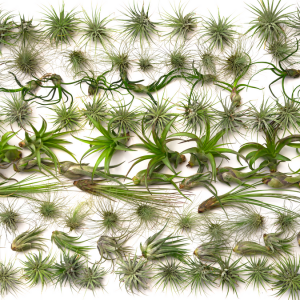 Take your air plants out of the box as soon as they arrive. 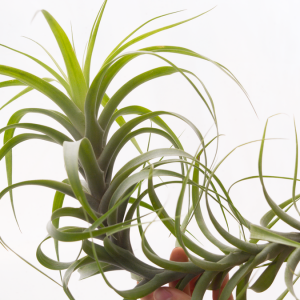 Follow the easy steps in the air plant care guide included to get started. 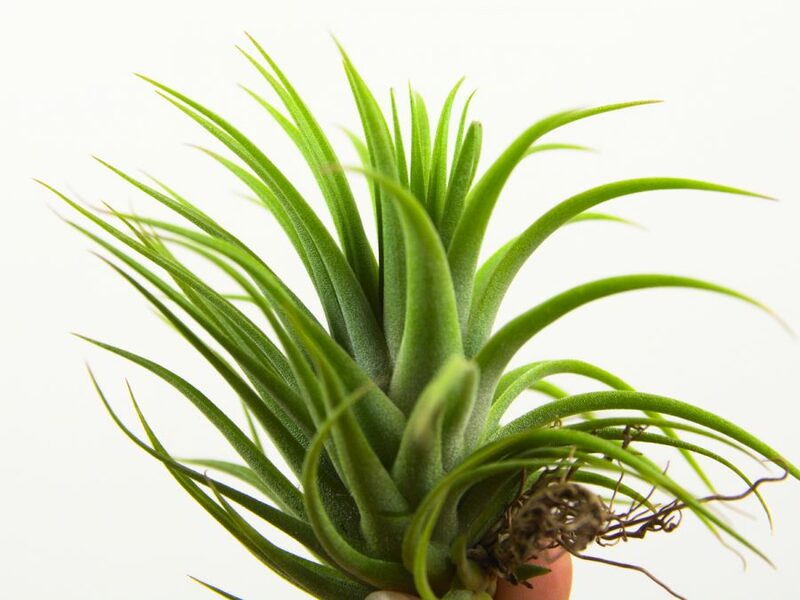 Soak your Tillandsia Ionantha Fat Boy twice a week in a bowl of water for 10 minutes each time. You can also mist your plant with a spray bottle 3-4 times a week if it needs more water between the soakings. 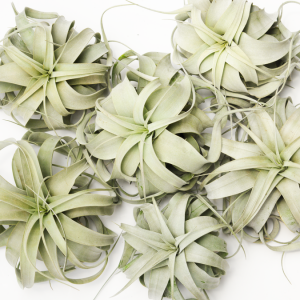 Tillandsias absorb water through leaves instead of roots. Gently shake off any excessive water from the leaves of the air plant after each watering. 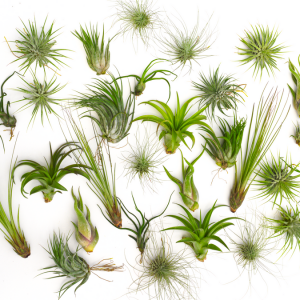 Place your air plant somewhere with good air circulation to dry them completely within 4 hours of watering. Do not put it under the sun or near heaters/AC units as intense heat and cold temperature can damage the plants. 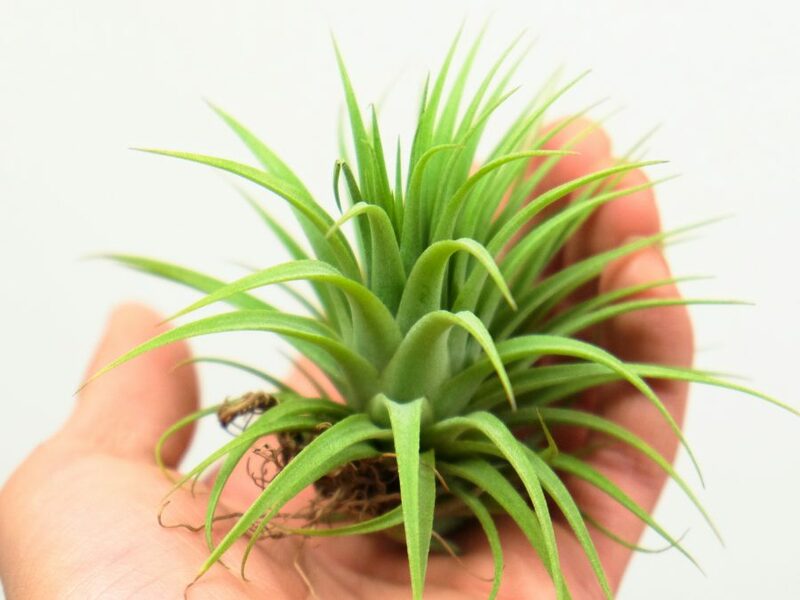 Tillandsia Ionantha Fat Boy does well indoors but likes bright, indirect light. 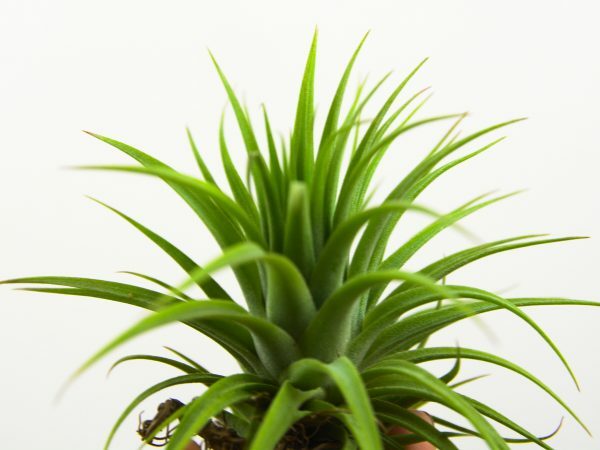 Keep this plant away from direct sunlight as this will cause the plant to develop burn marks. 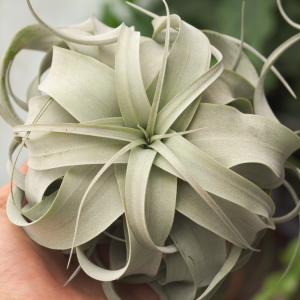 Tillandsia Ionantha Fat Boy does best in warm environments between 50 – 80 F. It needs good air circulation and some humidity as well.